Heat outdoor grill and roast Anaheim peppers until skin becomes charred. Remove from heat and place in a Ziploc bag for 30 minutes. When cooled, remove skin, remove seeds and chop. Set aside. NOTE: Wear plastic gloves when removing skin and seeds from Anaheim peppers. Heat 2 tablespoons of oil in a large skillet over medium-high heat. Dredge cubed elk meat lightly with flour. Add elk to skillet and brown elk on all sides, remove and place on paper towel. Make sure to cook the elk in batches so not to crowd the meat while cooking. You will need to add more oil during cooking. When you’re done browning all of the elk, quickly clean pot and add remaining oil to the pan. Add chopped onion, shallot and garlic and cook until soft and translucent. 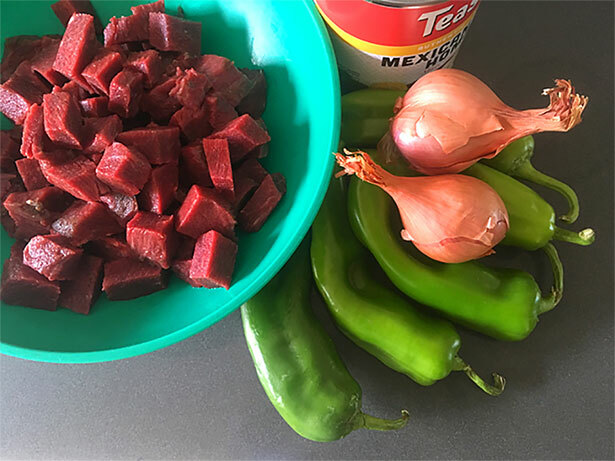 Combine the beef broth, water, garlic powder, salt, cumin, chopped green chiles, elk meat and hominy. Stir together and simmer on low heat for 45 to 60 minutes. 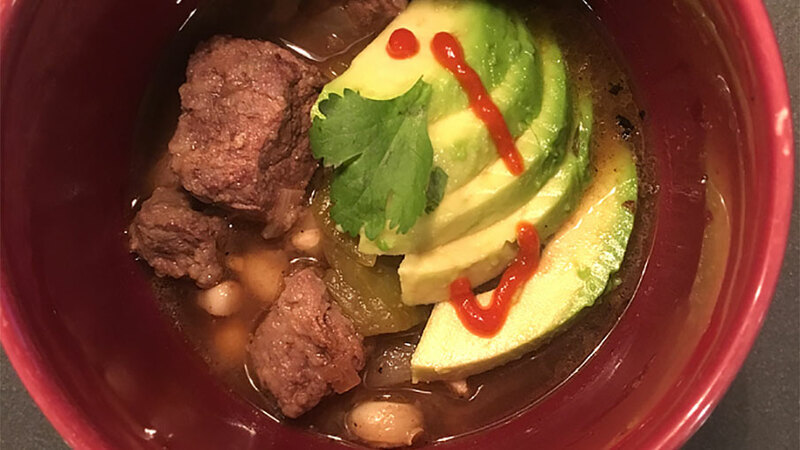 Serve the elk chili verde in a bowl or cup with chopped cilantro, sliced avocado, tortilla chips and shredded cheese.